Exploration of an ancient civilization…. NSA OPS ‘WALK IN PARK’ NEXT TO PLANS TO TRACK KIDS…… Watchdog says personal details about attitudes collected, measured, assessed…. Dr. Karen Effrem, president of the national watchdog group, Education Liberty Watch, is sounding an alarm about Common Core, the federal education standards that almost all states are adopting by accepting federal “Race to the Top” funding. Under Common Core, Effrem said, students’ personal information increasingly is being collected, measured and assessed while the standards shift the focus away from academics and toward psychological training and testing of personal attitudes and behaviors. Jane Robbins, senior fellow with the American Principles Project and a Common Core expert, shares Effrem’s concerns. Robbins said parents will not be notified if personal information about their children is released, nor will they be told who gets it. Common Core, Effrem said, creates “a womb-to-tomb dossier on kids and families” that includes between 300 and 400 different data points, such as parents’ voting status, religious affiliation, medical data, newborn screening and genetic data. That personal student information is to be stored and shared between states in what amounts to a national database clearinghouse of information that Effrem said will follow children and may help determine where they work or go to school. Effrem cited concerns about what these kinds of personal data collections will ultimately do to freedom in America. Effrem said many Common Core standards and assessments will be used to collect data that go beyond academics to focus on student’s psychological attitudes, values and beliefs. She points to documents from the National School Boards Association, the Collaborative for Academic, Social and Emotional Learning (CASEL) and the U.S. Department of Education that promote teaching children beyond academics to focus on “non-cognitive” “21st Century skills” that include the disposition, social skills and behavior of children. 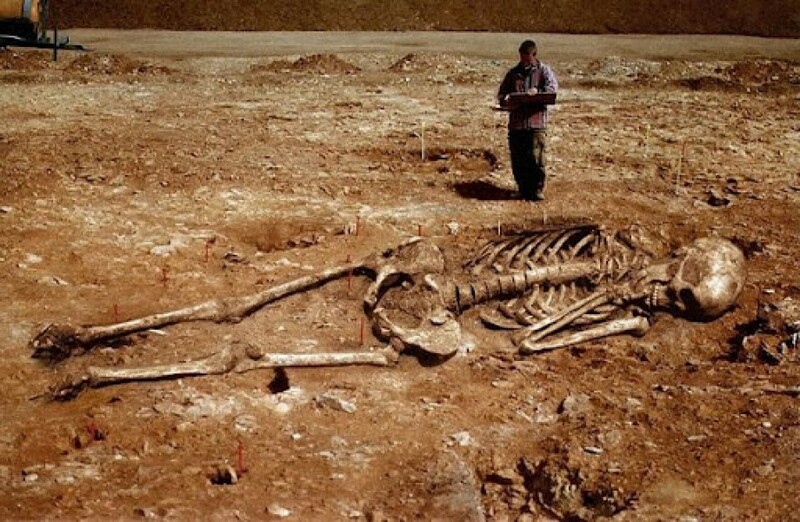 That finding was echoed by Pamela Orme, Anchorage School District social studies curriculum coordinator. The CASEL report adds that some states like Illinois and Kansas are also implementing social emotional standards on their own, a practice it found is supported by a majority of teachers it surveyed. Dubbed “affective computing” the report explores the “growing movement” within schools about how traits like dispositions, social skills, attitudes and “interpersonal resources” can be measured in students. It lauds the use of “affective computing” to measure social-emotional competencies, such as a student’s level of grit, tenacity and perseverance. 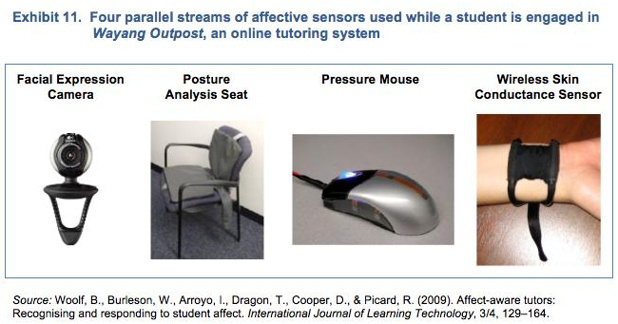 Included are photos of equipment that measures student responses: a facial expression camera, wrist wires, pressure mouse and posture analysis seat. It states the sensors provide “constant, parallel streams of data” that when used with data mining techniques and self-reporting allows measurement and examination of feelings that include frustration, motivation, confidence, boredom and fatigue. It also indicates collecting such data would help “individualize” learning, the latest trend in education. To achieve individualized learning, many districts are providing computerized devices to students. The devices not only provide a new way to access content, they are another way schools can track student activities, raising concerns of some parents and privacy advocates. At least one school district has spied on students using school-issued laptops as revealed in a 2010 class action lawsuit against the Lower Merion School District in Philadelphia, Pa. There, remote webcam spying was revealed after district officials attempted to punish then 15-year-old Blake Robbins for behavior in his bedroom. The district admitted it gave students laptops they could use at home that included webcams that could be activated remotely by district personnel to spy on students. Through the suit, it was revealed that two high schools in the district had secretly snapped 66,000 images. Another student filed a separate lawsuit against the district after he discovered his school-issued laptop had been used to capture over 1,000 photos and screenshots without his knowledge. These days, many districts have graduated to more portable products, like iPads, to give students. A concerned father in Farmington, Minn., said the iPad initiative has resulted in district officials frequently examining the equipment that many also use at home. He said middle school announcements regularly include a list of students who are ordered to the office so district personnel can inspect their iPad. Since the iPad includes GPS tracking device capabilities, the parent, who asked to remain anonymous, cited concerns about the extent of data tracking the schools could access. There are few limits on how geolocation data collected in electronic devices can be used by educators. Whatever information is on the iPad is completely accessible to school administrators, whether or not the device is owned by the district, according to Mo Canady, executive director of the National Association of School Resource Officers. Canady said in most cases, school administrators have a lesser standard to meet than police when it comes to searching students and their belongings. He added that school administrators have even more latitude when it involves a school-owned device. He said the same type of information school administrators can access if they have “reasonable suspicion” would require an officer to first obtain a search warrant before accessing the content. Districts across the country that have allowed student iPad use also have polices that govern their use, and all reviewed for this article state they can be “seized and inspected” by the district at any time without warning. The level of information about children districts are able to access, collect and distribute concerns Effrem, who said it is not their role as educators. The 13th Michigan Infantry in the Civil War – A Narrative and Letters by Colonel Michael Shoemaker.